Both Iowa State University’s (ISU’s) Institute for Transportation (InTrans) and the Iowa Department of Transportation (DOT) know that one day—or a week in this case—can change everything, especially if it involves education. Staff at InTrans and the Iowa DOT are no strangers to the importance of education. Their unique partnership, in fact, partly focuses on education, which is a key element of the activities conducted by InTrans for the Midwest Transportation Center (MTC) and the efforts of the Iowa DOT. It all started in the summer of 2015, when three educational workshops were offered with the goal of educating students on engineering concepts and transportation-related professions while providing teachers the tools to stimulate team-building, critical thinking, and interest in the transportation field. Because of their success, each workshop was expanded and offered again during summer 2016. In June 2016, the Transportation Institute, a three-week professional development workshop, funded by the MTC and the Iowa DOT, was held at InTrans. A total of nine high school teachers attended the workshop, participating first-hand in transportation-related activities (e.g., collisions and accident safety, super elevation, etc.) that they would later bring into their classrooms and after-school programs. Throughout the program, they had the opportunity to listen and ask questions to a variety of speakers from both InTrans and the Iowa DOT. Speakers like Kurtis Younkin, a traffic operations engineer in the Office of Traffic and Safety at the Iowa DOT, were able to share real-world experiences and answer the question on all their minds: What do engineers really do? Through these presentations, teachers received the background knowledge they needed to use the newly developed activities in their classrooms. A $500 mini grant, to purchase items for these activities, was also awarded to each teacher who attended the workshop. Then, later in June, 19 students from classrooms across Iowa, such as Des Moines Public Schools, attended the Go! Further Workshop, which was funded by both the MTC and Iowa DOT. 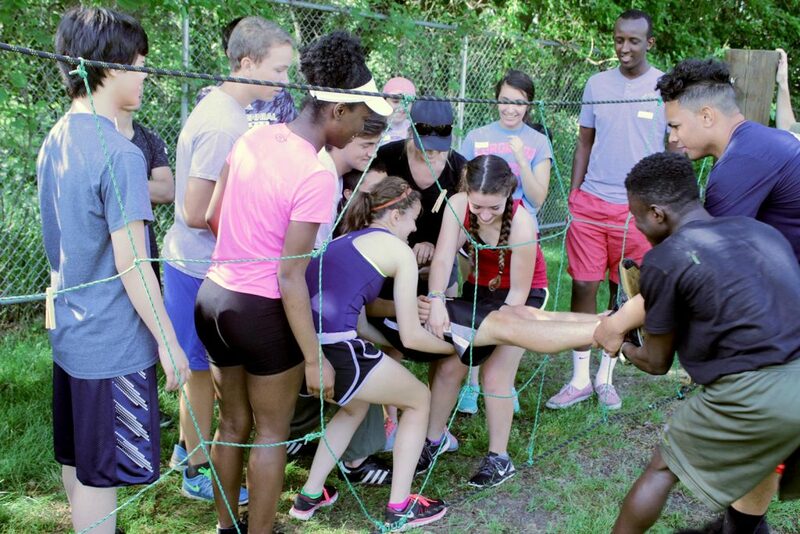 This weeklong educational workshop focused on leadership training and team-building. Working in teams throughout the whole process, students participated in a ropes course in Marshalltown, Iowa, where they traversed through a challenging rope climbing obstacle course. While visiting a local wetland mitigation site, the students learned the importance of sustainability. Then students were able to see what a snow plow operator really does by “driving” in a snow plow simulator housed at the Iowa DOT. And students learned the true value of leadership by “giving forward” as volunteers at a local area food pantry. “It’s interesting to think of leadership as an everyday occurrence, not just a quality held by important people like political leaders and CEOs. I can be a leader at school and camp,” said Jonathan Zaugg from Southeast Polk High School. Knowing that providing mentors and input from successful professionals is key in furthering student interest in transportation-related fields, the Iowa DOT and InTrans provided speakers who shared stories about the work they do in the field. Students were introduced to transportation professionals like Director of the Center for Transportation Research and Education (CTRE) Neal Hawkins, who is an expert in traffic engineering and transportation planning at InTrans. He introduced the students to the “technical” aspects of transportation engineering while touring the Realtime Analytics of Transportation (REACTOR) data lab, which is located on-site at InTrans. Because of the success of the Go! Further workshop, ISU’s Office of Pre-Collegiate Programs for Talented and Gifted (OPPTAG) included a session of Go! Further in their own weeklong summer workshop. Their 13 high school student participants joined in activities and presentations similar to that of the 2016 Go! Further Workshop. In July 2016, 22 elementary teachers from across Iowa attended Teaching in the Fast Lane, a workshop where teachers participated in activities based on the American Association of State Highway and Transportation Officials (AASHTO) Roadways in Developing Elementary Students (RIDES) kit. This weeklong workshop was solely funded by the MTC. The AASHTO RIDES kit is aligned with national Math and Science Standards at the Core Curriculum Standards and takes students on multiple adventures learning about transportation in relation to both math and science concepts. After the workshop, teachers were provided with a mini kit that provided them with these materials, which would enable them to implement transportation and engineering lessons easily into their classrooms. 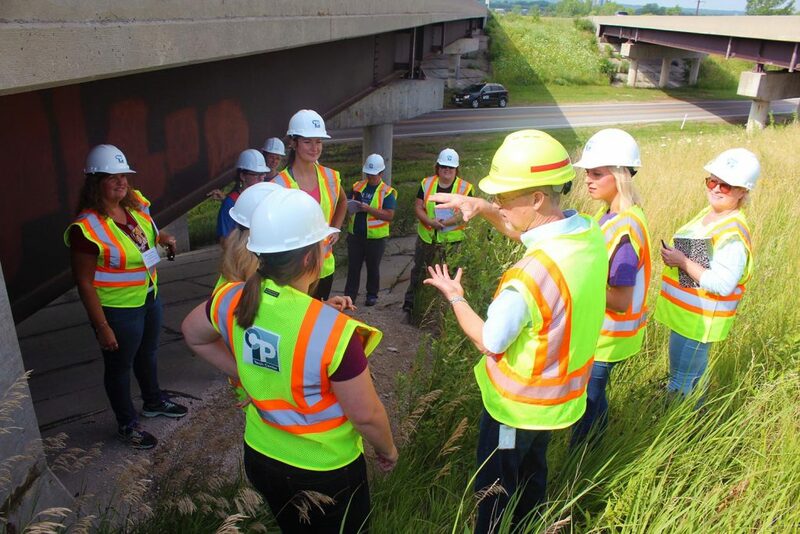 To provide participants with the background knowledge they needed to share these new activities with their students, teachers visited an actual bridge site and heard from visiting Iowa DOT and InTrans speakers on the importance of an engineering education. Molly Barton, a second-grade teacher from Studebaker Elementary School in Des Moines, Iowa, knew little about engineering, and even less about what engineers actually do, before attending the Fast Lane Workshop. However, she quickly learned that “opening the door” to future careers like engineering starts early.